Join Little Critter in this interactive book app as he tries hard to get through his day without forgetting anything! Explore pictures, learn new vocabulary, and personalize the story with your own narration. 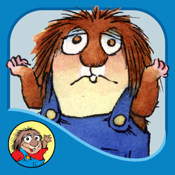 Every young child will understand Little Critter's confusion and laugh with him from start to finish!